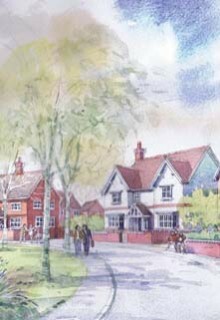 Crowdhill Green is a new, sustainable development of up to 330 new homes on the edge of Fair Oak, Hampshire. With a strong focus on sustainable development, the project is targeting a BREEAM Communities ‘Excellent’ rating. We worked closely with the design team through the outline planning application process to ensure the wide-ranging requirements of BREEAM Communities were met for interim certification. The scheme will pursue full certification over the next few years in line with the various Reserved Matters applications. Our understanding of a wide range of sustainability and planning issues and our extensive experience working on BREEAM Communities projects in Eastleigh we were well placed to help prepare strategy for the development.